We’ve already looked at 10 Shade-Loving Plants & Shrubs in a previous article, and today it’s time to look at 10 sun-loving plants and shrubs for those areas of the garden that find themselves bathed in sunlight. Different parts of your garden are likely to receive different amounts of sunlight, and some areas might be shaded by either buildings, other plants or garden structures, so it’s a good idea to observe how much sun different places get throughout the day. That way, you can be certain you’re planting each area with the most appropriate type of plant, meaning you get the best possible results. Sun-loving plants can be planted in borders, beds and containers, and can be low-growing, tall or climbers, meaning you can have glorious splashes of colour wherever you want them. Sun-loving plants are often drought-resistant, too, which can be an advantage if you live in an area that operates a hosepipe ban during long dry stretches of weather. Now, without further ado, let’s begin our list of 10 sun-loving plants and shrubs. This article is being written in late March and we’re starting to notice lots of these little beauties appearing everywhere. 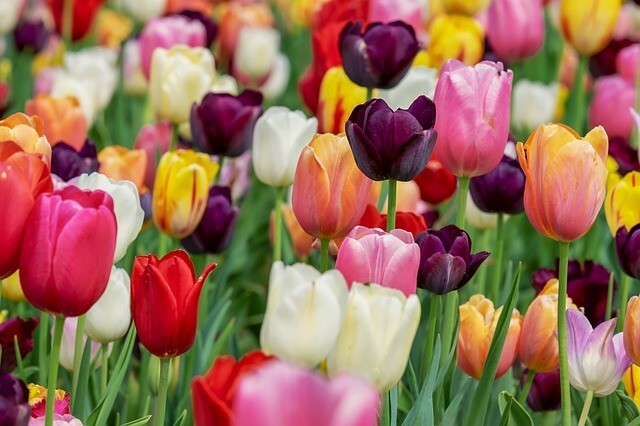 Tulips are stunning plants that come in a huge variety of colours and shapes. Tulips are best planted in the autumn and will then display a burst of colour from March through to May. These plants love the sun and thrive best in well-draining soil, sheltered from strong winds. 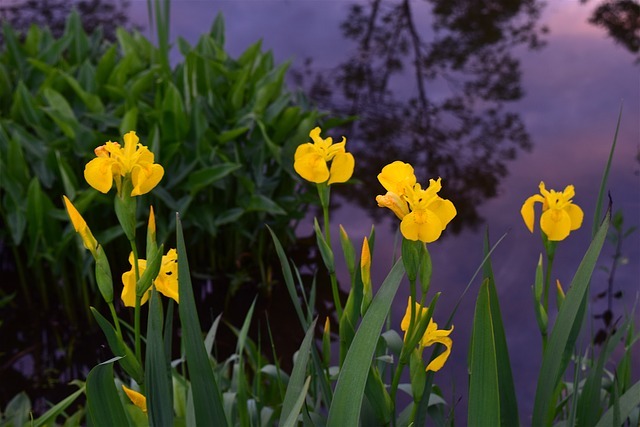 The name ‘Iris’ derives from the name of the Greek goddess of the rainbow, and it’s little wonder that this name was chosen for these beautiful perennials. With such a large range of different types and colours available, every gardener will be able to find a home in their garden for an iris or two. Irises need full sunlight for at least half the day, so be sure to plant them in the sunniest parts of your garden for best results. 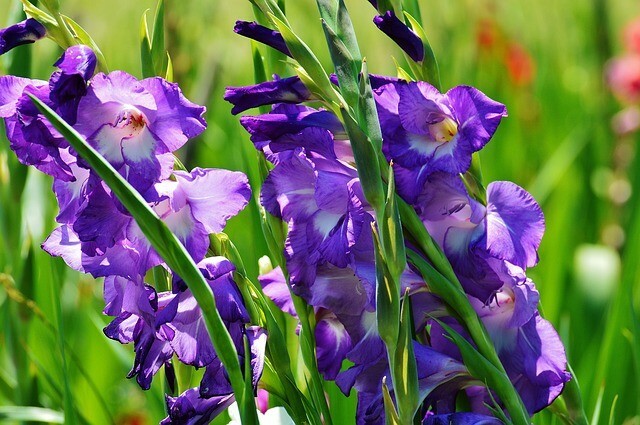 Most irises flower during spring or summer, and the most common variety found within the UK are bearded irises, but Siberian, Japanese and Louisiana irises are very popular, too. Another one of our favourites is the humble lily. Lilies are herbaceous flowering plants that are grown from bulbs. They grow to form long green stems that feature large, beautiful flowers. 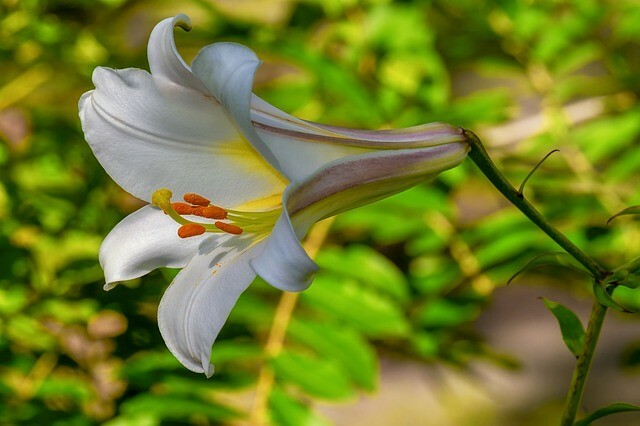 There are several varieties of lilium, but our favourites are the Oriental hybrids, which produce large star-shaped white flowers with streaks of pink or yellow. These plants love full sunlight and should be planted in the sunniest parts of your garden. 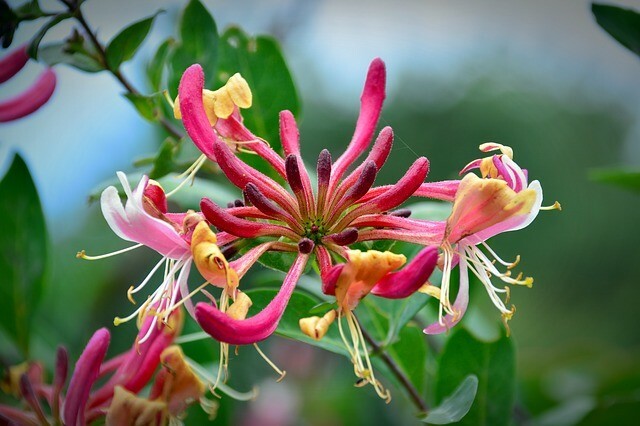 Honeysuckle is a climbing plant that can be used to give verticality to your garden. It can be trained to grow up walls, fences and pergolas. Although they can tolerate partially shady areas, climbers prefer full sunlight for maximum growth. Honeysuckle is also available as a deciduous shrub, growing up to 3.5 metres in height and with a maximum spread of around 3 metres. Both varieties produce beautiful yellow or white flowers and make the perfect addition to sunny areas of any garden. Alliums, which are also referred to as ornamental onions, come in a wide range of sizes and colours. They flower from spring through to the middle of summer and can grow up to 1.8 metres in height, with a narrow spread of up to 300mm. Alliums love the sun and will need lots of it in order to thrive, but you’ll be rewarded with beautiful showy flower heads in shades of purple, blue, white and yellow. 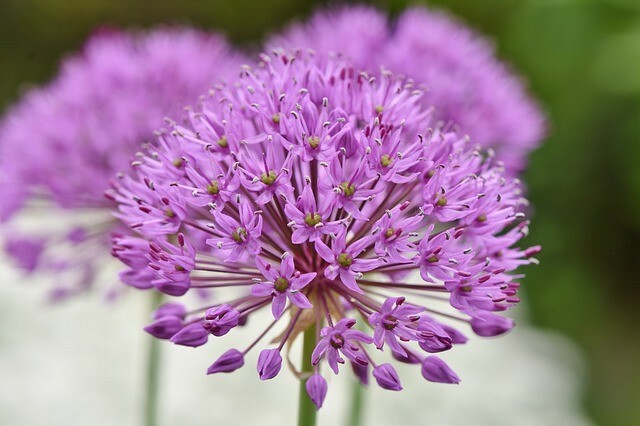 Due to their height, alliums are a great way to add some verticality to your beds and can be positioned at the back of the bed for maximum impact. 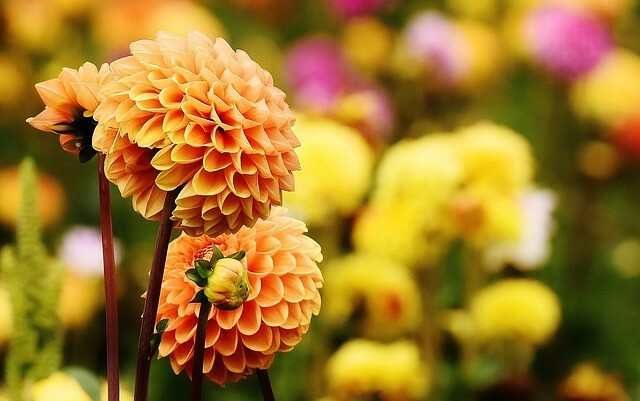 Dahlias have become very popular in recent times and for good reason, too. Every year, from summer through to early autumn, they produce beautiful flowering heads in a wide range of warm and vibrant colours. Dahlias are real sun-worshippers and are perfect for growing in pots and containers in dry and sunny areas of your garden. Dahlias are not big fans of the winter, however, and will need protecting from the frost, which can be achieved by surrounding them with a thick layer of bark chips or garden compost. We couldn’t put together a list of sun loving plants without including the ever-popular gladiolus. Gladioli are a perennial cormous flowering plant from the iris family. Often referred to as the ‘sword lily’, gladioli are easy to grow in well-draining soils within your plant beds, or even in container pots. There is a large variety of gladioli available, and their flowers can be white, red, orange, green, yellow or orange, meaning there’s something to suit every garden. As a general rule, all fruit and nut trees have to be planted in full sun areas for best results, but the fruits we most associate with the sunshine are strawberries. Strawberries can be grown in borders, containers or even hanging baskets, and there’s nothing quite like the taste of your own home-grown strawberries on a summer’s day. 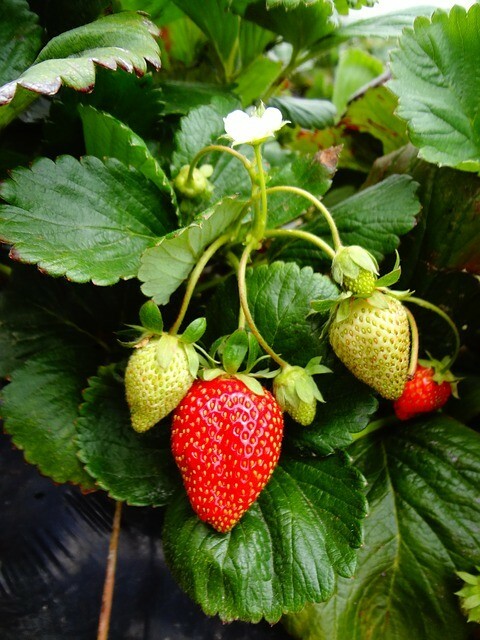 Strawberry plants are relatively easy to grow and they thrive best in sheltered areas in fertile, well-drained soil. Not only will strawberries look great in your garden, but they have the added benefit of tasting amazing, too! Lavenders are a great way to add some density to borders and planters. They are very easy to grow and thrive well in areas lacking in rainfall, but will need plenty of sunshine. They will also attract more wildlife into your garden as, of course, bees love the purple flowers that this shrub produces. 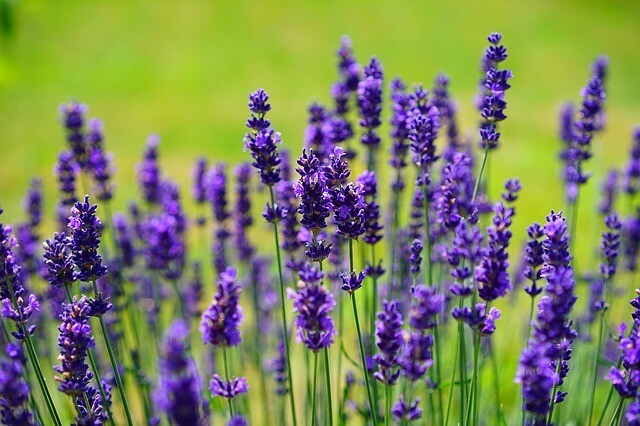 We also included the versatile lavender on our list of 10 low-maintenance shrubs, so you can expect this shrub to demand very little of your time to keep it looking at its best. We couldn’t compile a list of sun-loving plants without including some form of grass. 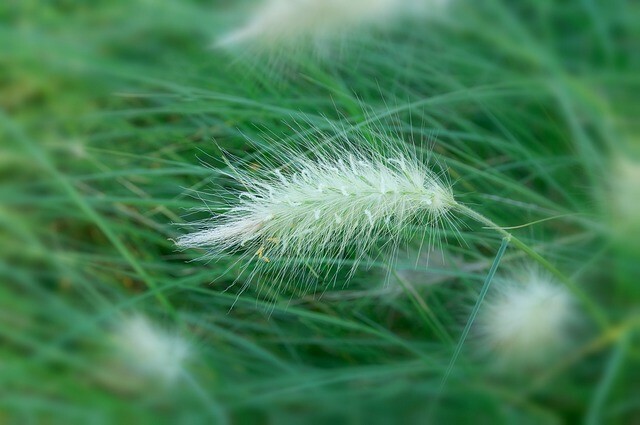 Probably the most visually stunning grass is the Pennisetum villosum. The added bonus is that it is very easy to grow, too. The grass flowers very quickly, but you will need to cut back old growth in the spring in preparation for the growth of new foliage. Pennisetum villosum makes a fantastic addition to any border. If your garden is bathed in sunlight for much of the day, then you have the opportunity to fill it with a range of bright, beautiful sun-loving plants. Bear in mind that some will need shelter from the wind, so be sure to match the plant to the area. There are very many sun-loving plants to choose from, meaning there’s something to suit every garden and every gardener. Whether you want showy flower heads, delightful fragrance or tasty fruits – or a mix of all three – sun-loving plants can provide it. Is there anything we have missed from our list? If you’re a fan of any sun-loving plant or shrub that we haven’t mentioned, then let us know by leaving a comment below. We’d love to hear your ideas.